In addition, religions from a particular regions are supported by the relevant Global Studies Librarians. The Columbia University Libraries have an extensive collection of materials in religious studies, although they are not all located in a single physical space. Butler Library holds materials on the history of religions; the Burke Library has resources for biblical studies, theology, and the history of Christianity (including the extensive Missionary Research Library); Lehman Social Sciences Library and the C.V. Starr East Asian Library both contain materials on religions unique to the Global Studies locales each library serves. Please see the left column of this page -- Religion Contacts at Columbia Libraries -- for subject specialists on particular religions. Here are some useful tips for searching in CLIO, Columbia Libraries' online catalog. 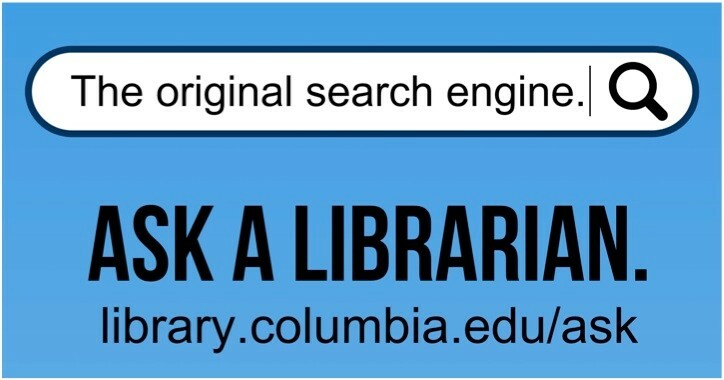 You should definitely explore Columbia Libraries' LibX tool, a Firefox and Chrome plug-in that enables incredibly convenient right-click searching across CLIO and the Web for a variety of print and electronic resources. You may also be interested in some help with citation management tools (such as Zotero and End Note) to help streamline and organize your research.